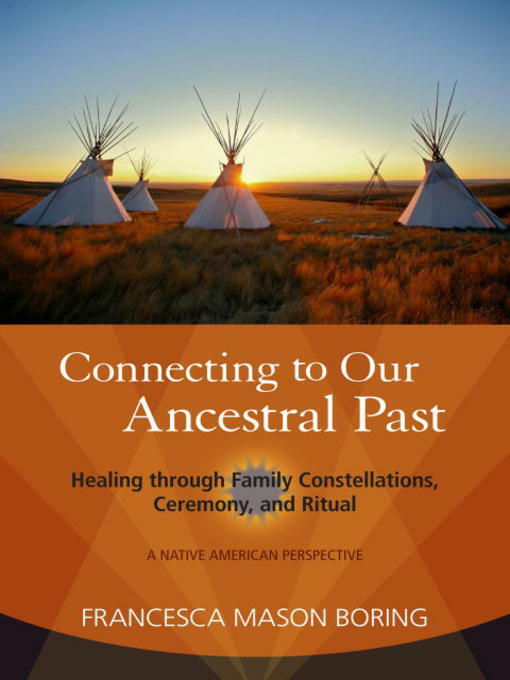 Connecting to Our Ancestral Past is a pragmatic, spiritual journey that introduces a variety of specific rituals and conversations in connection with Constellations work, an experiential process that explores one's history and powerful events of the past in order to understand and resolve problems of the present. Constellations facilitator and author Francesca Mason Boring presents this therapeutic method in the context of cultures like the Shoshone, of which she is a member, that have seen the world through a prism of interrelationships for millennia. In Constellations work there is an organic quality that requires a discipline of non-judgment, one that is embraced in traditional native circles, where the whole truth of a person's life, roots, and trans-generational trauma or challenge is understood and included. Mason Boring provides a transformational walk through the universal indigenous field— that place of healing and knowledge used by Native healers and teachers for centuries—by describing stories and rituals designed to help people with their particular struggles. These rituals, such as "Facing the Good Men"—designed to help women who have suffered abuse in relationships with men—reject Western notions of over-the-counter medication. Instead, they stress a comfortable environment whereby the "client," with the help of a facilitator, interacts with people chosen to represent concepts, things, and other people. In Western culture the word "medicine" is thought of as a concrete object, but Mason Boring explains that indigenous cultures favor a process of healing as opposed to an itemized substance. She re-opens doors that have been closed due to the exclusion of indigenous technology in the development of many Western healing traditions and introduces new concepts to the lexicon of Western psychology. A range of voices from around the world—leaders in the fields of systems constellations, theoretical physics, and tribal traditions—contribute to this exploration of aboriginal perspectives that will benefit facilitators of Constellations work, therapists, and human beings who are trying to walk with open eyes and hearts.